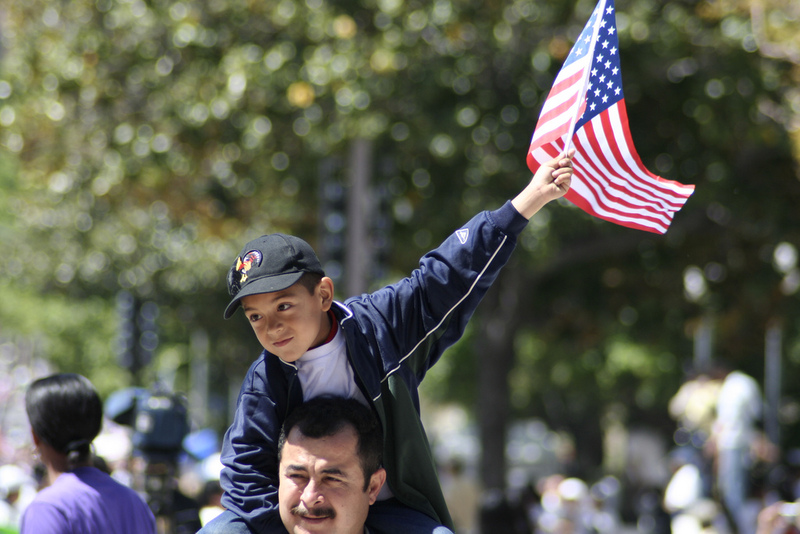 Are Mexicans the Most Successful Immigrant Group in the U.S.? The American Dream Doesn’t Just Belong to Those With the Most Money and the Fanciest Degrees. It Also Belongs to the Strivers Who Achieve More Than the Generation Before Them. The narrative of the American Dream is one of upward mobility, but there are some stories of mobility we prize above others. Who is more successful: a Mexican-American whose parents immigrated to the U.S. with less than an elementary school education, and who now works as a dental hygienist? Or a Chinese-American whose parents immigrated to the U.S. and earned Ph.D. degrees, and who now works as a doctor? Amy Chua (AKA “Tiger Mom”) and her husband Jed Rubenfeld, author of the new book The Triple Package, claim it’s the latter. They argue that certain American groups (including Chinese, Jews, Cubans, and Nigerians) are more successful and have risen further than others because they share certain cultural traits. Chua and Rubenfeld bolster their argument by comparing these groups’ median household income, test scores, educational attainment, and occupational status to those of the rest of the country. But what happens if you measure success not just by where people end up—the cars in their garages, the degrees on their walls—but by taking into account where they started? In a study of Chinese-, Vietnamese-, and Mexican-Americans in Los Angeles whose parents immigrated here, UCLA sociologist Min Zhou and I came to a conclusion that flies in the face of Chua and Rubenfeld, and might even surprise the rest of us: Mexicans are L.A.’s most successful immigrant group. Like Chua and Rubenfeld, we found that the children of Chinese immigrants exhibit exceptional educational outcomes that exceed those of other groups, including native-born Anglos. In Los Angeles, 64 percent of Chinese immigrants’ children graduated from college, and of this group 22 percent also attained a graduate degree. By contrast, 46 percent of native-born Anglos in L.A. graduated from college, and of this group, just 14 percent attained graduate degrees. Moreover, none of the Chinese-Americans in the study dropped out of high school. These figures are impressive but not surprising. Chinese immigrant parents are the most highly educated in our study. In Los Angeles, over 60 percent of Chinese immigrant fathers and over 40 percent of Chinese immigrant mothers have a bachelor’s degree or higher. In turn, their children benefit from their parents’ human and financial capital, giving them a boost in their quest to get ahead. This boost—which includes resources like after-school programs, SAT prep courses, and tutoring—isn’t limited to the middle class. The children of working-class Chinese parents employed in restaurants and factories benefit from capital and resources that are made widely available to other Chinese-Americans. At what seems to be the other end of the spectrum, the children of Mexican immigrants had the lowest levels of educational attainment of any of the groups in our study. Only 86 percent graduated from high school—compared to 100 percent of Chinese-Americans and 96 percent of native-born Anglos—and only 17 percent of graduated from college. But their high school graduation rate was more than double that of their parents, only 40 percent of whom earned diplomas. And, the college graduation rate of Mexican immigrants’ children more than doubles that of their fathers (7 percent) and triples that of their mothers (5 percent). The legal status of parents is key. On average, Mexican-American children whose parents are undocumented attain 11 years of education. Those whose parents migrated here legally or entered the country as undocumented migrants but later legalized their status attain 13 years of education on average. This two-year difference, which affected less than 8 percent of Mexican-Americans in our study, is critical in the U.S. education system: It divides high school graduates from high school drop-outs, making undocumented status alone a significant impediment to social mobility. But even accounting for this additional obstacle for children of undocumented parents, there is no question that, when we measure success as progress from generation to generation, Mexican-Americans come out ahead. A colleague of mine illustrated this point with a baseball analogy: Most Americans would be more impressed by someone who made it to second base starting from home plate than someone who ended up on third base, when their parents started on third base. But because we tend to focus strictly on outcomes when we talk about success and mobility, we fail to acknowledge that the third base runner didn’t have to run far at all. This narrow view fuels existing stereotypes that Chua and Rubenfeld play into—that some groups strive harder, have higher expectations of success, and possess a unique set of cultural traits that propels them forward. For at least a generation, Americans have been measuring the American Dream by the make of your car, the cost of your home, and the prestige of the college degree on your wall. But there’s a more elemental calculation: Whether you achieved more than the generation that came before you. Anyone who thinks the American Dream is about the end rewards is missing the point. It’s always been about the striving. Jennifer Lee is professor of sociology at the University of California, Irvine. She is author of Civility in the City, co-author of The Diversity Paradox, and co-editor of Asian American Youth. *Photo courtesy of Salina Canizales. Amy Chua, immigration, mexican american, mobility, Thinking L.A.